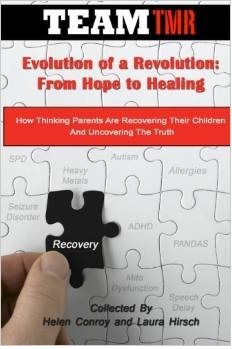 Do you feel like you’ve explored every possible therapy for your child and they are still not making progress? Do you feel like you devote all of your energy to their recovery, yet you yourself are still left feeling tired, exhausted and as though you have no time for yourself? Perhaps even your own health is failing? Do you believe that if you make sacrifices to your own well-being now, that your child will recover and you will be able to care for yourself later? If you’ve answered yes to any of these questions, it is likely that you have missed one of the most essential components to your child’s healing: your own. So many of us autism mothers have resigned ourselves to the belief that in order for our children to heal we must be selfless and sacrifice our own happiness and well-being so they can thrive. We tell ourselves that time is running out and, if we want to maximize our kids’ progress, we will have to compromise our own needs, that in the mythical “one day,” we’ll be able to catch up on all those things we once dreamed of: sleep, going back to school, a new fulfilling career, taking charge of our health, etc., etc. So many of us are sleep-deprived, overweight, and/or depressed, and we have made the role of autism mom our sole identity. While all of these beliefs are surely well-intentioned, they are actually blocking the very healing that we so desire for our children. We live in a vibrational universe. Everything is composed of energy and vibration. It is simple physics — you resonate with the vibration around you — and biology. While the idea of a rose growing out of concrete is romantic, we would never actually expect a flower to bloom and blossom without the proper water, soil and sunlight. So too, our children cannot thrive without a nourishing foundation — us. For them to thrive, we must thrive; we are their soil. If we are not properly nourished with the appropriate balance of nutrients, living organisms, pH, organic matter, etc., they cannot possibly flourish. Water and sunlight are not enough . . . the soil, within which their very roots are grounded, must be optimal, healthy and thriving as well. Yet so many of us ignore this seemingly basic fact, from the pure-intentioned belief that if we deprive ourselves of well-being, we will have more energy, time and resources for our kids. So how do we correct this? To begin, we must start by trusting. We must take the leap of faith that caring for ourselves — our health, our happiness, our passions — is not selfish. Quite the opposite: it is life sustaining. If we see ourselves as the soil that roots our children’s healing, we can begin to align with our higher selves more and more and make ourselves fertile ground for growth. Self-care and attention to our own happiness is one of the greatest things we can do for our children. I speak from personal experience. After years of biomed and making my son’s recovery my sole focus for years, I hit rock bottom and realized that if I didn’t take better care of myself, I would drown. I began to explore my passions and correct my own health. I allowed myself to start working again and follow my heart. 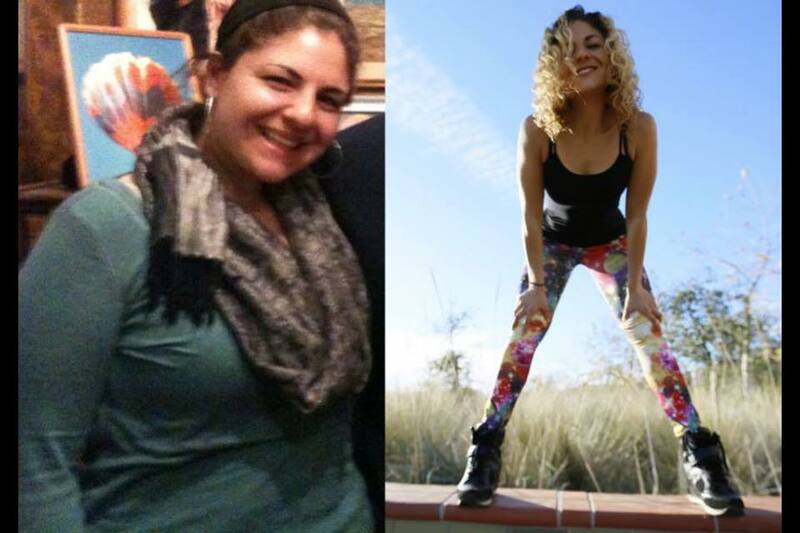 During this process, I managed to lose 70 pounds, go back to school, earn my certifications as a Holistic Health & Wellness Coach and Personal Trainer, and I found my passion and life purpose: to help other autism moms reclaim their health and their happiness as well. While I spend less time now with my son than I did before, the time I spend with him is quality. My tank is full and overflowing. I have infinite energy and patience for him. I am abundant with my love and my attention, all because I gave myself permission to take care of myself. And the results speak for themselves — my son has made more progress in this period than all the prior years of biomed and therapies combined. While he still has more healing to go, I know that we have all that we need to reach the finish line — because healing is a marathon, not a sprint. And to get to the finish line, you must nourish yourself along the way. 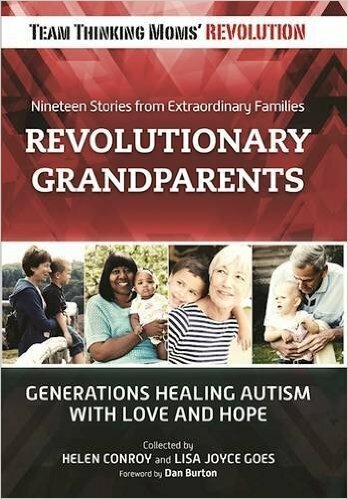 I am so happy and grateful to have learned the connection between my healing and that of my son, and I look forward to sharing more of my experiences with the mother-child mirrored healing relationship this year at AutismOne. If you’d like to attend my lecture, you can sign up for the conference at the following link: AutismOne Conference Registration. I know now that my life purpose and calling is inspiring other autism mothers, just like you, to tap in to their infinite potential and life purpose as a means for deeper healing and connection with their children, through deep inner transformational body-mind-spirit coaching. If you’re interested in seeing what coaching can do to help you regain health and happiness and take your family’s healing journey to a whole new level, my website — www.detoxdebauchery.com — is currently under construction but will be up again shortly. In the meantime, if you’re feeling impatient to get started, please feel free to contact me to schedule a free health history consultation. I look forward to celebrating you as you reclaim your power and remember who you really are and why you have come here, into this magical universe filled with infinite possibilities of love, health, and well being. 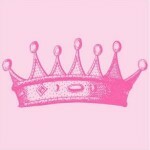 This entry was posted in Blogs by Thinking Moms' Revolution, Princess TMR and tagged autism mom, self care, selfishness. Bookmark the permalink. Instead of saying that my words are untrue, I think it’s more accurate to say that they are untrue from your perspective. Everyone sees the world differently, and with the exception of that which can be subjectively proven, one’s perception is their reality. I was not speaking of you specifically, and not even this forum specifically, as my experience in the real world eclipses that on message boards. That said, I did think it important to provide a counter to the chastising over being a “negative” and “half-glass-empty” person, because the insinuation is that these are inherently bad things that make one’s problems their own fault. I am on the receiving end of this accusation often (not by anyone here), and I can only offer that it does nothing to help the supposedly “negative” person. Some people just are who they are, and their personality is developed through different experiences, genetics, predispositions to depression, etc. Who are we to tell other people exactly when and when they should not feel “defeatist”? It’s a perfectly normal human emotion to which everyone is entitled. And, in my opinion, tell people that it’s “not going to help”, etc, is frankly, unhelpful, because it’s obvious. People don’t become defeatist because they think it will help, quite the opposite really. Criticizing them only magnifies the defeatism in my experience. Instead, support, is understanding the mindset that people are in, not the mindset that we want them to be in. It’s validating that they aren’t bad people for feeling this way, and truly empathizing why they might feel this way. It’s not saying “well, you’re never going to get anywhere with that kind of mood, you should be more optimistic and maybe your problems won’t be so bad”. Honestly, I can’t think of anything less helpful. This is just my opinion, though. I don’t expect people to agree. All I can do is throw out some food for thought and people can take it or discard it. Furthermore, I don’t believe I’ve ever personally heard a woman being called a half-glass-empty when she was depressed. Instead, I’ve seen people react with more empathy and understanding. This is my experience, though, and my experiences are as valid as anyone else’s. I take note that you’ve seen the opposite occur, and that is encouraging. It means there’s a chance that I may run across it someday. Stats don’t lie, though (well, they can, so i should say valid stats don’t lie), and men commit suicide at a rate far exceeding women, while receiving treatment less often for depression. I mean, I may not be correct with regards to what you’ve read on this forum, but there’s a sizable body of research that indicates that I’m spot-on when speaking of the general public. Every day, 11 veterans (99% of the male) take their own lives. Yet, when was the last time we had a moral panic about this? It’s never happened to the best of my knowledge, but we had marches in the streets in my town when some local women’s feelings were hurt over insensitive comments made by a police officer. People know what other people’s priorities are. It’s not hard to figure out. Just watch what they do. I don’t condone his criticizing anyone else, but I am an orphan who’s seen probably more of things that should remain unseen than most, and I’ve been on the receiving end of the “negative” label by people far better off than I. You never know what people have been through, and you never know how optimistic you would be if you’d been through the same thing. We think we know, we always think we know. But, we don’t. It’s just my 2 cents, and it’s worth every penny. Thanks again for the dialog. I respect what you’ve said, and I will keep it in mind going forward. You are absolutely right that our reality is subjective and yours is as valid as anyone else’s. I regret not adding “from my perspective” in my reply. You are also right that criticizing a “negative” viewpoint is unhelpful. If that is what I’ve done, then I’m sorry. I think my reaction was more due to the criticism of Princess for NOT being in the same state. I think the suicide rate of veterans is horrible and, personally, it’s among the things that I AM most morally outraged about, that and the fact that our military is used as medical guinea pigs — to the point where I suspect I may be writing a book on our horrid treatment of veterans in the not-too-distant future. Is the suicide rate of men in general more due to the fact that they don’t get support or that they don’t ask for it? In my experience many men have had the idea that they “should” be a certain way (which, admittedly, many women endorse) and any perceived deviation from what they “should” be can be very painful. One of the things they feel they “should” be is “able to deal with any problems on their own.” That’s not to “blame” men for the despair they often feel, just to say that there may be support available to them even if they cannot perceive it. And YES, you are also so right about not knowing how optimistic you would be if you had been through the same things as someone else. I am a big believer in trying to “walk a mile” in someone else’s moccasins, but using your imagination will not tell you how you WOULD act, only how you THINK you would act — having had the particular experiences you have had. I understand that in a very deep way. I had a baby who died when he was only two days old. I descended to some pretty deep depths at the time and met a number of other people who had been through similar events and watched them all deal with those experiences in different ways. My husband and I dealt with it in radically different ways. He became suicidal for a time, but He DID ask for help instead of carrying it out, however, and experienced a turnaround. You sound like a very thoughtful individual. I hope you can find thoughts that make you feel better than the ones you have now. For moms who feel the stress sometimes, try Yoga Nidra. Research may explain why more boys are affected by autism than girls. “There is no doubt that autism affects boys more than it does girls with most authorities putting that ratio at 4:1. Scientists have been unsure about the reasons for this uneven distribution for a long time. Now, research conducted at the University of California, Los Angeles, in the US, has uncovered a possible explanation. The research also sheds light on underlying mechanisms of autism spectrum disorders and other developmental disorders. “The researchers looked at the protective coating around the delicate axons which extend from nerve cells in the brain. This insulating jacket around the axons, known as myelin, is made predominantly from fatty substances, including cholesterol, and is essential for ensuring proper communication between cells, and therefore brain function as a whole. “After reviewing information from brain scans and autopsies, the researchers say that they can now explain the role of myelin in developmental disorders including autism and attention deficit hyperactivity disorder (ADHD). Many researchers have looked at what is going on inside the nerve cells, and at neurotransmitters, the chemical messengers in the brain, but this is the first time that myelin has been directly studied in these disorders. “The research team that carried out the myelin investigations at UCLA was led by Dr. George Bartzokis, professor of neurology at the David Geffen School of Medicine and director of the UCLA Memory Disorders and Alzheimer’s Disease Clinic and the Clinical Core of the UCLA Alzheimer’s Disease Research Center. Cholecalciferol (vitamin D₃) improves myelination and recovery after nerve injury. To learn the very latest info on vitamin D3, listen to this video starting at 1:03:00. I have always had the belief that I cannot give from an empty cup so I have always given to myself first before my son. Of course that decision is not made when my boy really needs me like when he is sick or needs my help. I won’t do things for him that I know he can do for himself as it doesn’t help him or me. It would add to my already very loaded cart and he would not learn his independence and confidence when he does it for himself. I owe my son as his mother to be happy, calm, satisfied and fulfilled. I owe him my time when I am present and involved with him and his many needs. If I don’t, I begin to resent him and all he demands of me and that is not fair to him. Leia, thank you so much for sharing and congratulations on the transformation. you are an inspiration. I am 100% with you, healing myself and lifting and transforming my own energy healed my child more than anything else. For those that think they don’t have the time or resources, there are always solutions….change your attitude and with a positive and optimistic outlook the solutions will come. Wow, Professor TMR, thank you for responding to Will O’Grady’s negativity. I agree with you that Mr. O’Grady seemingly could benefit from Princesses services. I am blown away that Princesses accomplishments, both personal and professional, would be blasted and cited as the reason for lost credibility. Wow. Will, I would encourage you to look at your life and stop making excuses. As a military spouse there have been plenty of times I have been left on my own during deployments with very little local support, including not many friends or family local to me. I could have sat around whining about it for the duration of the deployments, but instead put that energy into finding local support, finding respite, flushing out resources and becoming involved in the national community as a result of the way things unfolded. I also made a large number of trusted and very like minded friends. Yeah, it was difficult, but I made it through and so did my kids. And I didn’t have just one with special needs, but 3 of my 4 did, and during a few of those deployments I was nursing our youngest. There are plenty of things one can do. It could be something as simple as setting aside a little time in the evening to read, draw, listen to music, trying a new recipe, exercising even if it’s just a walk around the block. I will say Will, you sound as though you have some control issues (no judgment – we’ve all been there in one way or another when it scomes to our children), but if you have NO time away from your child for just you, you’ve set or are setting yourself up for a life of misery. Just because we have children with special needs does NOT mean that we are NOT entitled to have our own experiences, joys, achievements, and human experiences outside of such. There are plenty of online support groups, and you’d be amazed what you’ll find when you plug in. There could be another parent in the same boat less than a mile from your home, or in a nearby town that makes it feasible for you to child share so you can have time. There are also plenty of online colleges catering to a multitude of degrees. If you’re into the in person experience, many colleges, especially community colleges, provide onsite care and are now catering to children with special needs. YOU are going to have to be the one to reach out. If you don’t you have no one to blame but yourself if you’re miserable, which it sounds like you are. And if you’ve reached out and didn’t find what you needed? Keep going. You have to decide if your cup is half full or half empty. Happiness is a choice, not an entitlement. 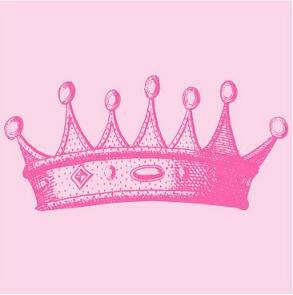 Princess, I’ve watched you on this journey and I am so proud of you. And you look Effin’ Fantastic Warrior Momma 🙂 And You My Friend, inspired me this morning to finally finish my office so I can actually start using my treadmill again. I got completely burnt out and have been staring at boxes, binders, loose papers, etc. off and on for months (sometimes I just stash it in the closet so I don’t have to look at it LOL). Hey man, when you’re basically re-organizing 10 years of records for your family after a major and permanent move, agh… you just want Samantha from “Bewitched” (totally just dated myself) to come and wiggle her nose 😉 Thank you. There’s a quote by my great-great-great Uncle, Ralph Waldo Emerson, that we all know… I’m going to provide the full quote. Thank you again Princess. You simply ROCK!!! You are absolutely right. If we fall down, will take care of our kids? What about those of us who do not trust others with our children, or are afraid placing our child in someone else’s care will result in a police visit with social services in tow? (show of hands)? What about those of us who are single parents because our spouse/significant other couldn’t cope, leaving us to be 24/caregivers? (Show of hands yet again)? What about those of us who have parents willing to watch our children, but at the price of interfering with how we raise them in terms of things such as food, medicine and/or religion? (I’ll bet there’s a big show of hands for this one)? You lost credibility (at least with me) when you posted photos of your dramatic weight loss, let everybody know how you improved your education, placed a hyperlink to your “in development” webpage, and had the editors add a bumper offering a free service (to new customers, of course). 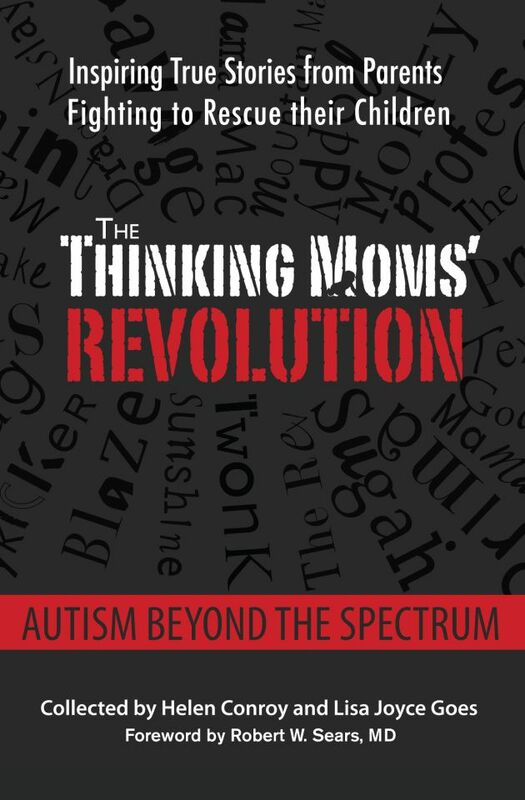 What a wonderful spiel to thrust into the faces of a unique target market…namely, autism moms! This makes you no better than those annoying “from around the web” hyperlinks doing nothing more than shilling a way to separate people from their hard earned money. Funny…you could have advertised your new vocation in your hometown (where you should generate an income AND be held accountable if you perform fraudulent acts), and offered up free services here (along with third party sources from which participants here could buy direct with no markup from you). This would have made your post both noble and ethical. It is neither. It is advertising. Congratulations. You are now in the company of people like Dr. Mehmet Oz, the grapefruit diet, and all of the scams found in womens’ magazines for sale at your local grocery store checkout. Find a target market, and exploit it for personal gain. let me know when you perfect that “all cheeseburger” diet, and I will be right along to buy your book. Women and men have vastly, vastly different experiences with “support”. Women tend to support women, but men aren’t really the same creatures. Even on this very page, you get a lot of blowback, but it would be much difference if you had a female first name. You sound depressed, and rightfully so, but when you’re a man, it’s your fault. You don’t do enough. You don’t try hard enough. It’s a shortcoming of yours. Women, most of them it seems, just don’t see it. Women are “superwomen” for things men are called failures for. It’s the world we live in now. Much of it is political, some of it is learned, but you will not get the same level of support as you would if you were a woman. Period. Men commit suicide at a rate 8 times that of women. Yet, men are treated for depression half as often. I’m not saying that to be cynical, and when people call something “negative”, what it means is that your observations make them sad, and they want to feel good, so please stop calling it as you see it. There’s a large amount of groupthink in all of these paradigms, and not much respect for diversity and differences. Not everyone is a glass-half-full person. I once ready a very interesting book about how the most important people in history were glass-half-empty people. Malcontents whose pessimism drove them to make advances that the rest of civilization was too complacent to make. 99% of those people, and actually more, were men. Men have been responsible for nearly ever comfort civilization enjoys, and many of those things were born of a restless malcontent ion. You don’t have to change. I don’t think women understand. We don’t all have the pollyanna gene, we’re not all optimists, we don’t all know what it’s like to receive empathy or sympathy from others. But we’re still people nonetheless. Yet, they act as though if you don’t look on the bright side, you’re not even human. The different ones are always dehumanized. I wish I could tell you that it was going to change soon, but it’s not. This paradigm serves too many political purposes to be rectified, so I’m afraid that you will have to be a stronger man, or sadly, end up like so many men before you. That much is unequivocally true. Support is not for you, so like a great many men, you have to learn how to live without it. The article that you read on this page was not for you. As I was reading it, even I knew that. Hopefully knowing that you’re not alone provides a tiny bit of comfort. Sometimes just making it to the next day, and not the next week or month, will get you further than you thought possible. It’s the long-term worry that gets most people. Regardless of what anyone tells you, there’s nothing wrong with you. You’ve earned your misery, and you don’t have to ignore it just because it makes other people feel happier. You have nothing to be ashamed of. Sometimes, you call it as you see it, and if other people don’t like what you’ve experienced, just remember, it’s not your job to please them. If you have to please your support system as well as everyone else, what would be the point in having one? David, I find your comment more indicative of your frame of mind than anything vaguely resembling truth. You seem to attribute my response to Will’s comment to sexism, implying that his response would be much different if he were female. That is completely untrue. As a matter of fact, single autism dads (of which I know at least two personally) get mad props from the vast majority of women for doing what they do, and certainly more than single mothers do. I’ve seen women be extremely judgmental of single mothers. Never seen it when it comes to single fathers. Doesn’t mean it doesn’t happen, as I’m sure it does. But then pretty much everything happens somewhere to someone, doesn’t make it generalizable. My reaction was based solely on the utterly defeatist attitude contained in Will’s comment. It doesn’t allow for any improvement in life, nor does his attempted tearing down of someone who DID believe improvement was possible and even succeeded in making it happen. That would be true — and sad — whether he were a man or woman.